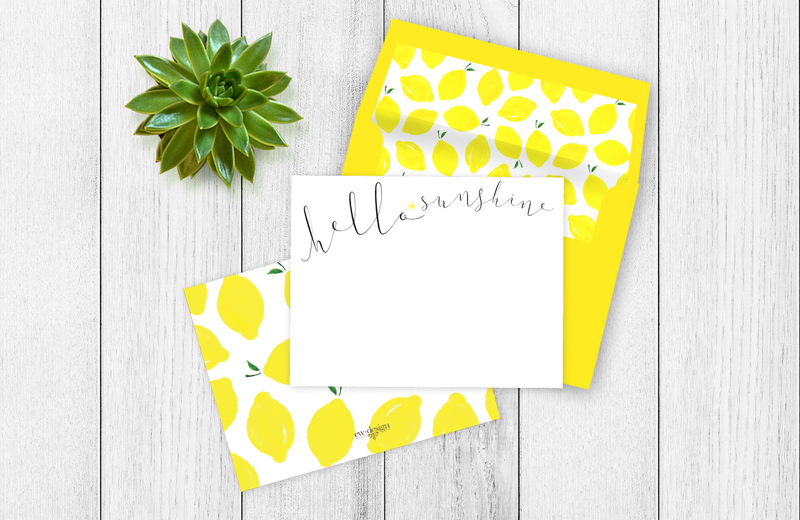 Pop into spring with this lemony fresh stationery set! 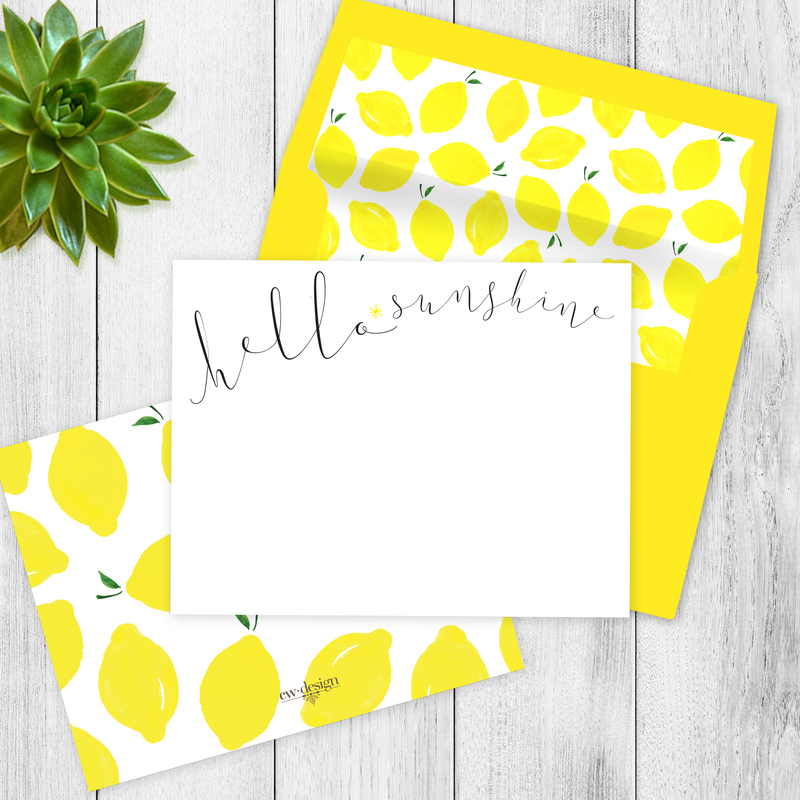 The hello sunshine suite makes a great hostess or birthday gift. 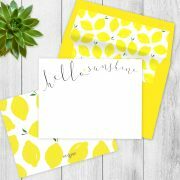 Printed on premium stock, and includes a coordinating lemon pattern on the back, and matching envelope liners to complete the set. 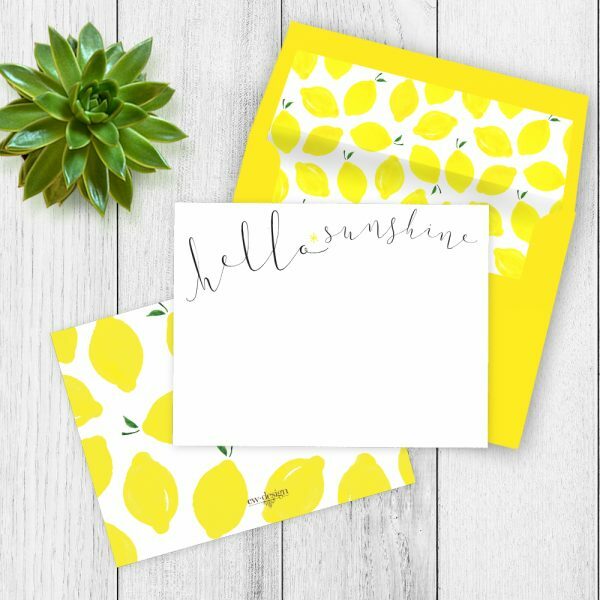 Set includes 10 cards and 10 envelopes, and packaged in a complimentary stationery box. ENVELOPE: Yellow envelopes will be provided with your cards.